A common stereotype is that persons experiencing homelessness have no access to digital and Information Technology. Even if they could obtain access, they would not have the skills necessary to use it. In this entry, the authors examine the scientific literature focused on the Internet use of persons experiencing homelessness. Both homeless adolescents and adults use the Internet at public libraries, social service agencies, and via mobile phone. They use the Internet to obtain employment and housing, seek services, remain socially connected, and have fun. The Internet has enormous potential as a tool to improve the lives of persons experiencing homelessness in terms of social support, advocacy, connection to and rating of services, online education, online intervention scheduling, and online intervention delivery. This field is new, and its development should prove both exciting and vital for the assessment, research, and intervention of persons experiencing homelessness. Concerns about the physical and mental health of persons experiencing homelessness have driven researchers to examine the cyber behavior of homeless adults. 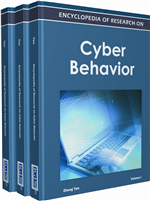 The first scientific journal article to focus on the cyber behavior of persons experiencing homelessness was published in 2005. In this article, Miller evaluated computer use as an occupational therapy intervention with seven homeless men (Miller et al., 2005). One year later, Redpath published his findings on the first survey of computer and Internet use of homeless and indigent drug users in Long Beach, California (Redpath et al., 2006). His work emerged out of a concern that the population may not have adequate access to much-needed Internet-based health information such as HIV prevention strategies. Next, Eyrich-Garg, concerned about the unsheltered homeless population’s ability to access their social support network members in Philadelphia, published her work about their use of mobile phones and computer technologies in 2010 (Eyrich-Garg, 2010, 2011). Finally, LeDantec, an expert in human-computer interaction, presented innovative work at an academic conference about cyber interactions among shelter staff and residents (LeDantec et al., 2011).